Features. 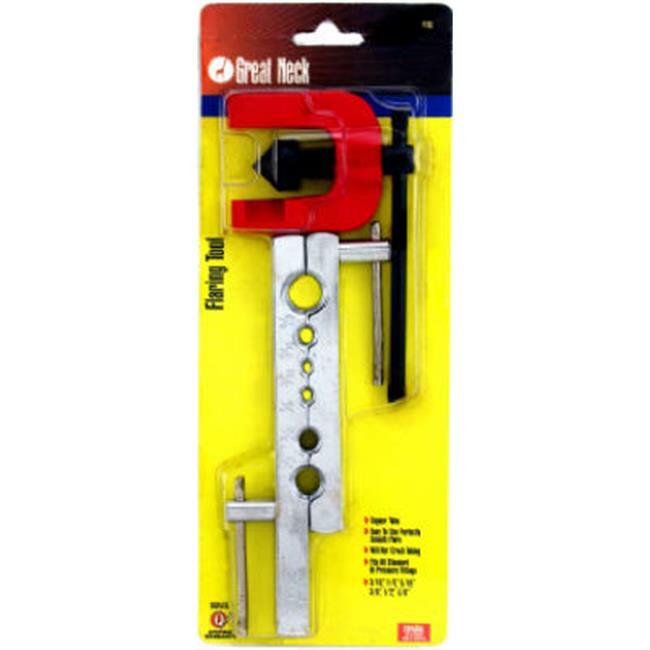 Pipe Flaring Tool Takes Sizes 3/16 in., 1/4 in. 5/16 in., 3/8 in., 1/2 in. & 5/8 in., Carded.. Dimension - 1 x 4.5 x 11 in.